The build 16215 of Windows 10 offers a very significant option for annotating EPUB books on the Edge web browser. In case, you are a vivid digital reader then you must upgrade yourself with this version as it provides the best option for annotation. Actually, Microsoft is seriously working towards developing the readability of documents present in the native browser and hence has added this feature. EPUB is a world-famous format and most of the books available in the digital world belong to this format. 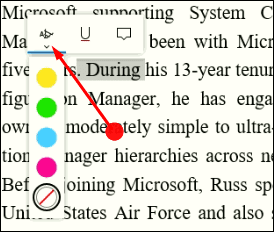 While Annotating any EPUB Books in Edge, it is possible to showcase the necessary words, add on a note or check the useful portion of a text. EPUB files are always under Zip lock security and contain some special marks showcasing that they are in the EPUB format.